– There is now very little “order” among the gang cells. While the Salvadoran gangs have traditionally been far more organized and hierarchical than their neighbors in the Guatemalan and Honduran gangs, since the breakdown of the truce, and the return of the top leaders to the maximum security Zacatraz, local gang leaders have been making their own decisions about where, when, and how often to allow violence. In most cases, this has meant a significant increase in homicides. – Salvador is currently awash in a sea of weapons. This fact is not merely the impression of the gang leaders with whom Martinez spoke anonymously. It is also the distinct impression of the Salvadoran Armed Forces (who have confiscated almost three times as many weapons this year as last year) and the Guatemalan authorities who report that weapons are harder to come by in Guatemala because so many high-caliber weapons have been sold to Salvadorans, especially in the Eastern border regions of Guatemala. Martinez mentions that one gang leader last year was recorded in a phone tap as saying “without the [truce], there’s going to be lead flying in all directions.” It appears that the gangs began stockpiling weapons as the truce deteriorated, anticipating an all-out war with police that continues to the present. The war (with the police and between factions) has indeed materialized and the homicide rate is on track to surpass that of Honduras which, for the past several years, has distinguished itself as the most violent nation in the hemisphere. – Gang recruiters are aiming at a much younger demographic. Children of 11, 12, and 14 years of age are joining the gang in large numbers due to recruiting efforts after the breakdown of the truce. Although the informants did not say say, one can easily surmise that this combination — younger, newer gang members and more, higher-caliber guns – can go a long way toward explaining the spike in violence in El Salvador. 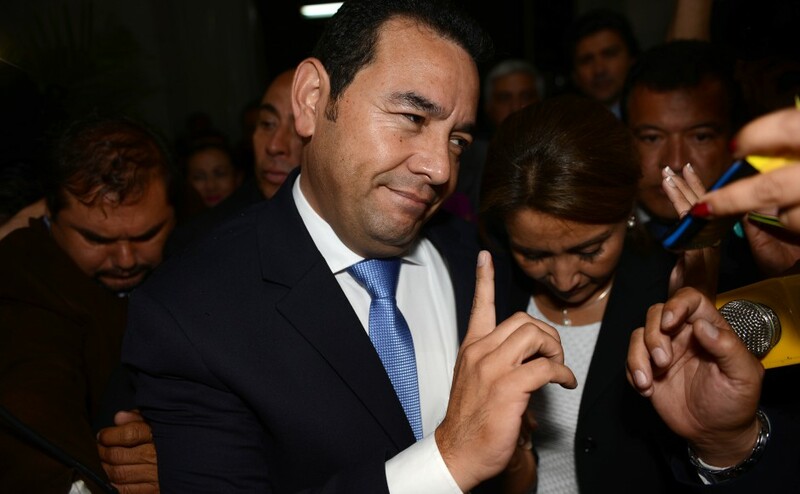 Jimmy Morales: “Transition” or Continuity? Anita Isaacs, Professor of Political Science at Haverford, has written an excellent NYT op-ed (published 11/6/15) about the shaky electoral transition currently underway in Guatemala. She does a great job navigating the the tension between optimism (due to the success of the grassroots movement to oust corrupt politicians including the President and Vice President) and realism (due to the unwillingness of the Guatemalan Congress to pass substantial electoral and campaign finance reforms). Without systemic change, Guatemala is not really any better off with its newly-elected president in Jimmy Morales. About Jimmy Morales: Morales is indeed a “political outsider.” He is also not well-connected among the Guatemalan elites. His roots are in the lower-middle class, as evidenced by his K-12 education at the Colegio America Latina, one of the older and more traditional evangelical schools that has attracted many lower-middle and working class Protestant families since its founding in the 1950s. We know little about his political philosophy. Some of his public statements seem to suggest a kind of political conservatism — or perhaps naivete — which is disconcerting but would fit well with the alliances he has made with some of the old guard from the army. Marcelo Colussi, columnist for Plaza Pública put it rather bluntly when describing who “won” the election: Ganó la anti-politica. We can only hope that the momentum behind the plaza protests of this year has not spent itself.